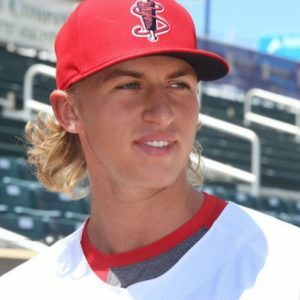 Kopech was throwing some heat in his last outting, hitting 105!!! Kopech was throwing some heat in his last outting, hitting 105 MPH!!! For a guy who is ranked number five in the Red Sox prospect rankings, you could say how is he not elite already? When I asked around to fellow Red Sox fans a week prior on who they would consider elite and untouchable in the system, only four names came out. Andrew Benintendi, Yoan Moncada, Anderson Espinoza, and Rafael Devers. By far these four guys have been the top guys for a reason, but it is time for Red Sox fans to add Michael Kopech to that list. Kopech is all over the headlines today for throwing 105 in his last start, and by all means that is insane. However, this is not the only thing that Kopech should be known for. The Red Sox used a first round pick in 2014 on the tall right hander. Drafted straight out of high school, Kopech came over and was a strikeout machine once he made it to Greenville. Not only was he striking out batters at an insane rate, he made it to an All Star game that same year. At only 19 years of age, we still have not seen the best of Kopech yet and that makes it so much more exciting for the future. This flow should get some serious attention. In my opinion, Kopech would be pushing toward Portland right now if he already isn’t. The broken hand was a minor setback for an amazing return. Its time to group him with the elites in the system because he is elite and he will only continue to put up scoreless frames. He has 13.1 scoreless innings to start out his year in Salem. Not to mention the fact that his flow is out of this world and he has a smokeshow for a girlfriend. 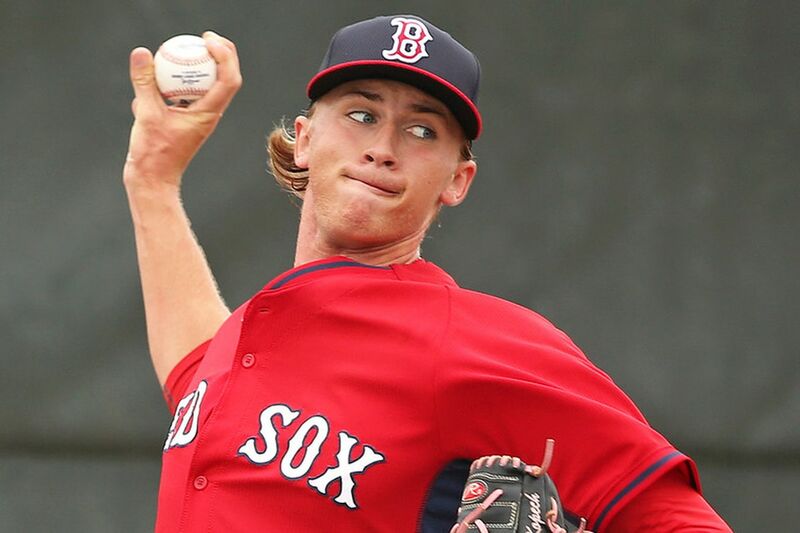 By the way, that golden flow earns him the Number 1 spot in the Red Sox system for best flow by a mile.